This one is another family favorite. Both my husband and I have an excess of fire in our constitutions, so I diligently avoided garlic for a number of years. I was delighted to learn from Drs. Smita and Pankaj Naram of Bombay that garlic’s effects on the body could be balanced with appropriate amounts of ghee, cumin, hing, and turmeric. This recipe for greens was a result. It is neutral for vata and slightly increases pitta and kapha (because of the generous amount of oil). It is especially tasty if you use arugula. 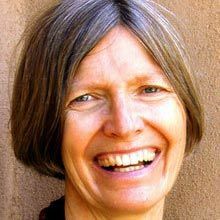 Amadea Morningstar is the author of The Ayurvedic Cookbook, Ayurvedic Cooking for Westerners, and The Ayurvedic Guide to Polarity Therapy. For more information, visit www.AyurvedaPolarityYoga.com.